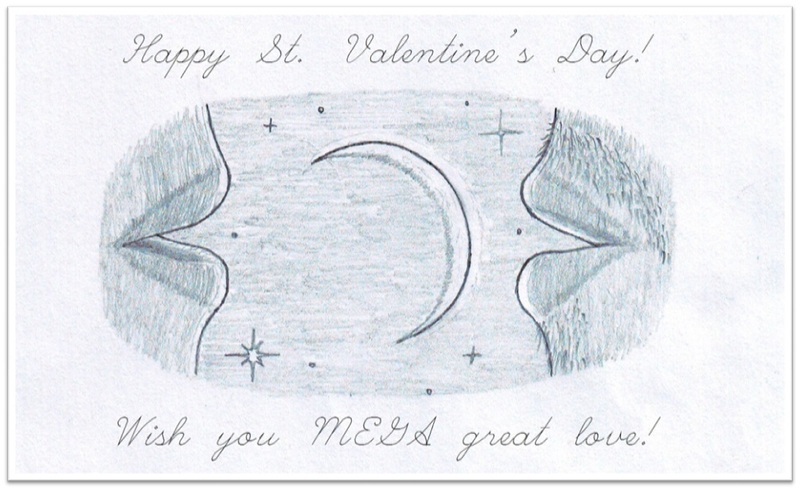 Wish You MEGA Great Love! Please allow me to congratulate you with the St. Valentine’s Day! I wish you MEGA great, passionate, happy, and long-lasting love, just like the one experienced by Jessie and Jack in “The Monster: Blade of Darkness“… and also the one to be described in my upcoming novel “Simply Love”. Yes, indeed, I have started writing the next book for you. A little teaser: it is actually going to be a prequel to “The Monster: Blade of Darkness” that discusses the philosophy of Love and introduces the characters that will play one of the key roles in the next part of “The Monster” trilogy entitled “The Monster: Armageddon’s Blade”. So, I hope that at the St. Valentine’s Day next year the book will be released, and you will start enjoying it. By the way, if you have not provided your feedback about the novel “The Monster: Blade of Darkness“, please do so. Your opinion is very important to me, and I will be much grateful to you! Now, enjoy Love this day… and every day… in all its beautiful and enchanting forms! This entry was tagged Blade of Darkness, Monster, novel, The Monster, trilogy. Bookmark the permalink.